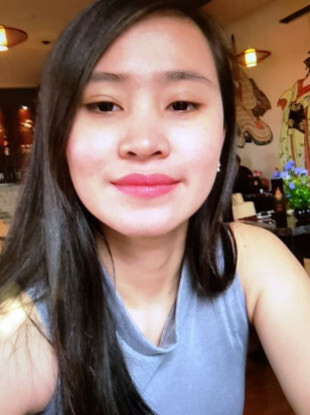 AN INQUEST HAS heard today that Jastine Valdez, the 24-year-old student who was abducted in Co Wicklow this year, died of asphyxia. Jastine had taken the 5.40pm bus from Bray to Enniskerry on Saturday 19 May and arrived in Enniskerry village at around 6pm. She was abducted in broad daylight on a busy road at 6.20pm. Her body was discovered shortly before 3pm on Monday 21 May 2018 in dense woodland at Rathmichael, south Dublin. No family members of the Valdez family were present for the opening of an inquest into her death at Dublin Coroner’s Court. A family liaison officer has been appointed to the Valdez family. Detective Inspector Frank Keenaghan applied to the court for a three month adjournment of the case. “The family will be back in the jurisdiction at that stage and we will have a clearer picture,” Keenaghan said. Jastine’s parents Danny and Tess Valdez travelled to the city morgue on 22 May to identify their daughter’s remains. A statement from Danny Valdez was read out in court. He said he travelled to Dublin City Morgue with Garda Patrick Mackey of Bray Garda Station. “There I saw my daughter Jastine and I identified her as my daughter,” Valdez said in his statement. The formal identification took place in a viewing room at 6.10pm. A post-mortem conducted by Deputy State Pathologist Dr Linda Mulligan gave the cause of death as asphyxia. Coroner Dr Myra Cullinane adjourned the inquest for further mention to 14 March 2019 and extended the condolences of the court to the Valdez family. Email “Jastine Valdez died due to asphyxia, inquest hears”. Feedback on “Jastine Valdez died due to asphyxia, inquest hears”.